In January of this year, people collecting Social Security retirement benefits received one of the highest cost of living adjustment (COLA) increases seen since the 1980s. Unfortunately, that increase may be the last one you see for a few years. If you are retired and receiving Social Security benefits, you know that your benefits are increased each year to help you keep up with inflation. This is called a cost of living adjustment, or COLA. The COLA is announced in October of each year and is based on the CPI-W (the Consumer Price Index for Urban Wage Earners and Clerical Workers) from the 3rd quarter of the previous year to the 3rd quarter of the current year. Changes announced in October go into effect in January of the next year. In 2009, retirees saw their benefits increase by 5.8%, due mainly to the high cost of gas during 2008. This was much higher than normal, with the average increase being around 2.8%. Unfortunately, the Congressional Budget Office (CBO) is estimating that there will be no increase in Social Security benefits for the years 2010 through 2012. The reason that there may not be any COLAs for the next few years is a law that says that no further COLAs may be given until the CPI-W exceeds the level on which the previous adjustment was based. Since gas prices have gone back down, the CPI-W has also decreased and is not expected to get back to the level it was at (when the 2009 COLA was announced) until the year 2011. If you’re already receiving Social Security, you probably are also aware that Medicare Part B premiums have also been rising. Thankfully, there is good news for the majority of retirees who have their premiums deducted from their Social Security checks. There is a “hold harmless” provision that says that Social Security retirement benefits will not decrease as a result of an increase in the Part B premium. So even if Social Security benefits stay the same and Part B premiums increase, your Social Security check will not go down. However, the “hold harmless” provision does not apply to new Social Security recipients, Medicare participants who are not yet receiving Social Security benefits and high income people. If you are unfortunate enough to fall into any of these groups, you’ll pay higher premiums to make up for the participants who are covered under the “hold harmless” rules. This may seem unfair, but this scenario (where Social Security does not receive a COLA but Medicare premiums are rising) was never expected to happen, because it was never expected that Social Security would not receive a cost of living adjustment since they were made automatic in 1975. The reason high income earners will see higher Medicare premiums is due to the Medicare Modernization Act, which will be completely phased-in this year. This act basically says that high income beneficiaries will pay a larger portion of the cost of Medicare, based on their income. 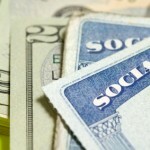 While this act is not the focus of this article, the combination of the Medicare Modernization Act with no COLAs for Social Security retirement benefits could mean smaller Social Security checks for people above certain income levels for the next few years. Bottom line, if you’re collecting Social Security you’re going to learn the true meaning of “fixed income” over the next few years. To prepare you should keep a close eye on your spending, and if you’re a high income earner you should be aware of tax and financial planning strategies that could cause a spike in income and thus a spike in your Medicare costs. These strategies need to be carefully planned and coordinated so that your increase in Medicare costs don’t outweigh the benefits of the planning strategies.